There are often occasions in life when we contemplate selling some of our jewellery. Perhaps we are raising extra cash, saving for a “bucket list” destination or ambition, letting go of memories associated with a past relationship or simply having a good old clear out. The first items we might turn to are those made of gold or silver, but platinum is often used in rings especially and tends to be 95% pure. Compare this to 18K gold which only has 75% gold content. Your platinum jewellery could well be a treasure trove! Platinum is more valuable per ounce than gold, and considerably more so than silver. Platinum was first discovered in South America in the 16th century. The Spaniards who uncovered it named it for their term “platina”, which translates as “little silver”, and they brought it back to the New World. It has a silvery-white appearance and this precious metal is remarkably strong and durable. This strength is useful in jewellery design, as it makes the prongs and clasps that hold gems in place less likely to break. Despite its strength, it is softer than gold and can scratch more easily. When gold gets scratched, the metal is displaced and lost, but platinum just shifts its position, lending an antique-like finish. For hundreds of years, platinum has been mined, and the highest concentrations of this premium metal are found in Russia, Canada and South Africa. It has also been detected on the moon, and on the surfaces of meteorites that have crashed to earth. Only about 30% of platinum extracted goes into the manufacture of jewellery. The rest goes into electrical contacts, industrial catalysts and laboratory equipment. Its use in chemotherapy has been shown to be effective at treating tumours. In the automobile industry it does a vital job, converting dangerous emissions to safe non-toxic substances. Some global banks produce solid platinum bars for investment purposes. 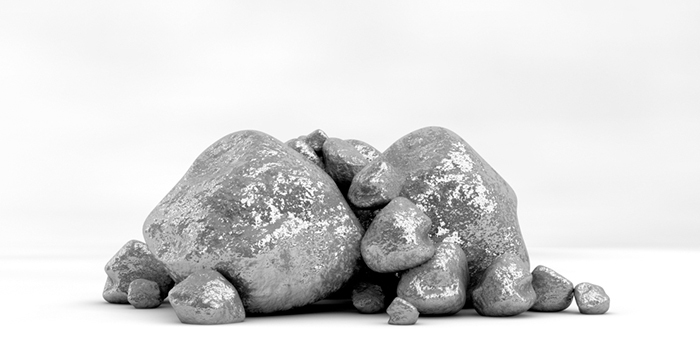 You can assess how rare platinum is by comparing the amount of gold – fifteen times more – mined per year. What does platinum look and feel like? Platinum and white gold have similarities in both price and appearance, but over time, white gold will take on a yellowish hue. White gold is coated in rhodium. Platinum always remains white. Although white gold can always be polished, it may eventually need to be re-plated to maintain its original colour. The density of platinum means that pieces weigh more. It is both the heaviest and the hardest of the white metals. Platinum is also hypoallergenic, so anyone who might be allergic to the nickel alloy in gold can safely wear platinum next to their skin. Many iconic pieces of jewellery are mounted in platinum, including the Hope Diamond and the Star of India. You may not have such glamorous items in your collection, but you will be impressed by the value of your platinum rings, necklaces and bracelets. Buyers appreciate the fact that platinum does not tarnish, and neither does it oxidise when exposed to water or air. A trusted gold buyer will be pleased to help you with valuations and sales.